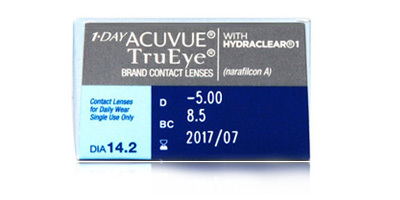 A sturdy lens designed to cope with the rigours of everyday life, Johnson & Johnson 1 Day Acuvue TruEye are technologically superior, silicone hydrogel daily disposables which offer comfort, quality, protection, convenience and value for money. Chemistry and ground-breaking design combine with sophisticated manufacturing to give wearers of busy daily disposable contact lenses a product that ticks all the boxes. Pioneering contact lens technology is at the core of Johnson & Johnson 1 Day Acuvue TruEye daily disposables. A world first in the sphere of lens design and creation, Hydraclear technology combines super efficient oxygen delivery with the highest UV protection to date. Made entirely from breathable and moisture-rich silicone hydrogel, these smooth contact lenses keep the eyes hydrated and protected from moment of application until removal. 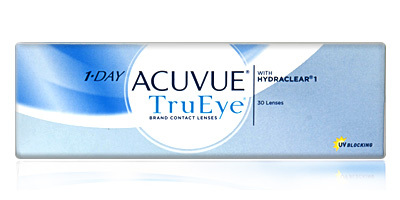 Johnson & Johnson 1 Day Acuvue TruEye contact lenses provide vision correct, comfort and health benefits. They help protect the wearer's eyes from features of contemporary life like air conditioning, high pollen levels, and traffic pollution. 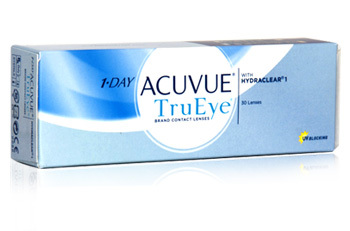 Place an order for 1 Day Acuvue TruEye contact lenses with us and get express delivery to your doorstep. 98% of orders are usually despatched on the same day as placement. I'm very happy with the service your company provides. 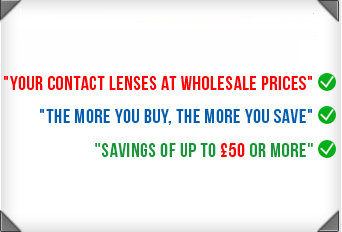 Undercut specsavers by £90 on 12 months of Acuview Trueye Dailies with the 10% weclome discount. Very quick delivery, very happy.